Experts have said for years that moving to a new home is one of the most stressful experiences in life. And a big part of what makes it so stressful is having to pack all your stuff. But the truth is that packing doesn’t have to be such a big deal. Knowing the right tips for packing clothes can take much of the stress out of the experience. Let’s take a look at some helpful tips for packing clothes that will make your big move much more enjoyable. Does your full closet make you dread your upcoming move? Don’t worry. Follow these tips for packing clothes and we’ll make your move a lot less stressful. You’ve likely heard the old saying: “Plan your work and work your plan”. This bit of wisdom definitely applies to packing for a move. The more time you have to prep for your move, the better. If you wait until the last minute, you’re just asking for stress and chaos. Start collecting boxes as soon as possible, and make a plan on paper for everything that you need to accomplish each day and week leading up to the move. Because you won’t be able to get everything packed in one day. Give yourself plenty of time because things always seem to take longer than expected. Moving is a great opportunity for weeding out clothes you don’t wear anymore. Perhaps they no longer fit, look a bit tattered, or have simply gone out of style. Whatever the reason, either toss these items or bag them up and donate to a locate charity. Downsizing will not only make the move easier, but it will also help make unpacking less work as well as simplify your life in general. After all, nothing feels more liberating than reducing clutter. Taking inventory of all the clothes that are being packed is a key to being as organized as possible. Create a master checklist before boxing stuff up. This way you’ll have an accurate record of the items packed inside each box and thus will know where everything is without having to search. Your inventory will also help you see what things should be packed first and last so that clothing items you’ll most need can be placed on top for easy access. Again, the more organized you can be, the better. Your inventory will let you see everything you have, but it won’t do you any good to randomly pack your clothes. This might seem obvious but you’d be surprised how many people blindly toss stuff into boxes at random as fast as they can. This might get you packed a little quicker, but it’ll make unpacking a nightmare. It’s very likely that you have collected piles of old boxes that you’ve stacked in the garage, basement or attic. Go ahead and recycle those old boxes and replace them with new ones before your move. Old boxes don’t hold up well with age. Cardboard deteriorates and weakens over the years. The result is boxes that won’t stack well and could collapse or fall apart during transport or while being carried. Try to resist the urge to reuse these boxes. Invest in new ones instead. Good, strong boxes make moving much less of a chore. Moving companies typically sell boxes of varying size, and it will be money well spent. So now you’ve got nice new boxes and you’re ready to get started. First, it’s always a smart idea to cover the inside bottom of each of your boxes with several sheets of white packing paper as an extra layer of protection. Now place your neatly folded clothes from the dresser or closet into each box. You can stack or roll each item depending on space and how much you want to prevent wrinkles. Be sure to fill each box as full as possible while still leaving room to close the flaps. Then seal each box with tape and label with a marker so you’ll know what room it goes in. When it comes to packing clothes for a move, hanging clothes are cumbersome and can thus be a challenge to deal with. Investing in wardrobe boxes can make the job much less stressful. Wardrobe boxes are great for transporting designer attire and other expensive clothes that you’ll want to make sure won’t get damaged. These boxes are tall and have metal hanging rods, basically like a mobile closet. They cost $15-$20 per box, but that’s a small price to pay for protecting your pricier items. You could also choose to use hanging bags for formal attire in an effort to save money, but there’s guaranteeing the condition your stuff will end up in. The best way to save time on packing and unpacking, and save money on boxes, is to not pack at all. To accomplish this simply leave your clothes in your drawers and leave the drawers in your dresser. 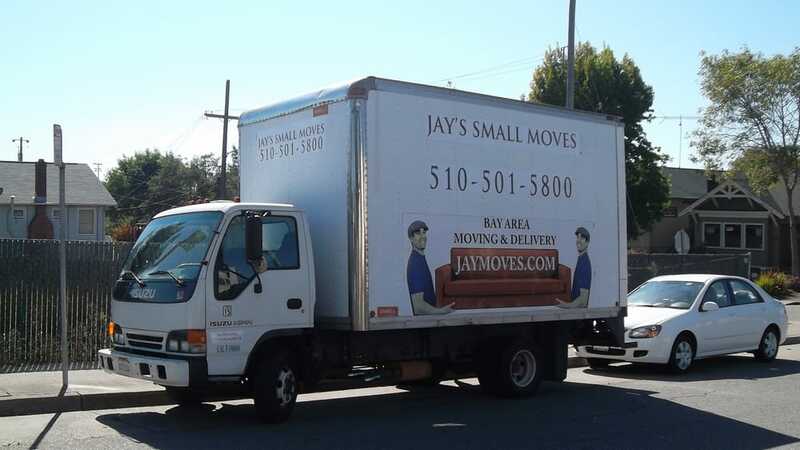 Many moving companies actually prefer this. They will tape the drawers shut so that the drawers won’t slide open inside the truck during transit. This also offers the benefit of cutting back on the number of boxes you will need, which saves space inside the truck. Preparing for a move to a new home is never completely stress-free, but this list of tips for packing clothes can make the job a little easier. Packing clothing isn’t a science, but a few good tips for clothing storage certainly makes the transition to the new location less of a burden. To have the best experience possible, just remember to follow these simple steps, plan ahead, and try not to get in too big of a hurry. Click here to see 10 tips for dealing with a last minute move.